Bluebird, having a summer sale of 10% off any order, had me crunching numbers for emmer and einka. I can source emmer at my coop, but einka, the name Bluebird uses for einkorn farro, is harder to find. I was happy indeed that ordering einka from Winthrop, including USPS shipping, was less money than the one Seattle source that I know of. I ordered 10 pounds. Fast forward 2 days. It’s Saturday, Farmer’s Market day. I haven’t been doing the Saturday market, opting for the closer-to-home, a-little-less-expensive Sunday market. However, the Saturday market is where you score excellent clams and amazing kombucha, so with clams & pasta on the menu, I went. 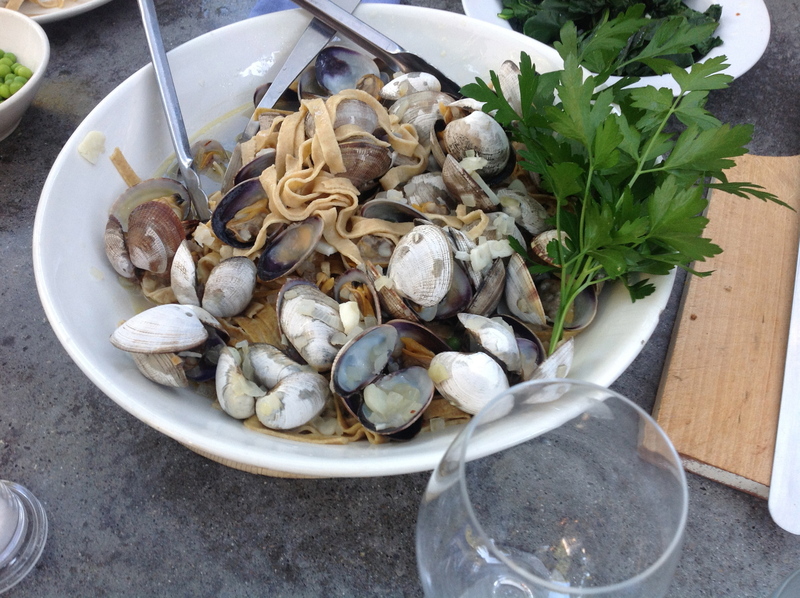 I make a clam & pasta dish originating with Mario Batali’s Simple Italian Food, a book I bought before ever knowing who Mario Batali was. 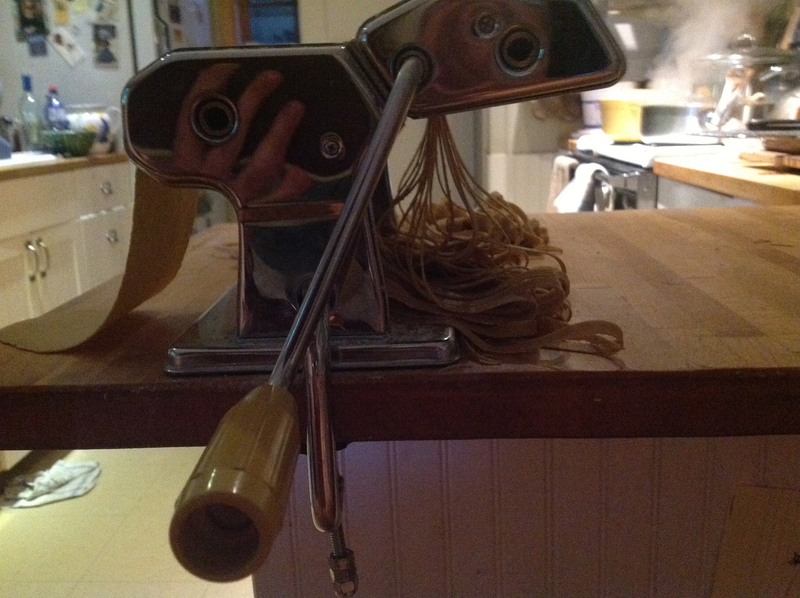 Since it’s summer and warm out, I brought home some whole wheat linguine to boil up rather than mix up handmade pasta. When the mail carrier brought me a box from Winthrop, however, my plans changed. I thrilled that my order from receipt Thursday mid-morning had grain at my door Saturday mid-afternoon! 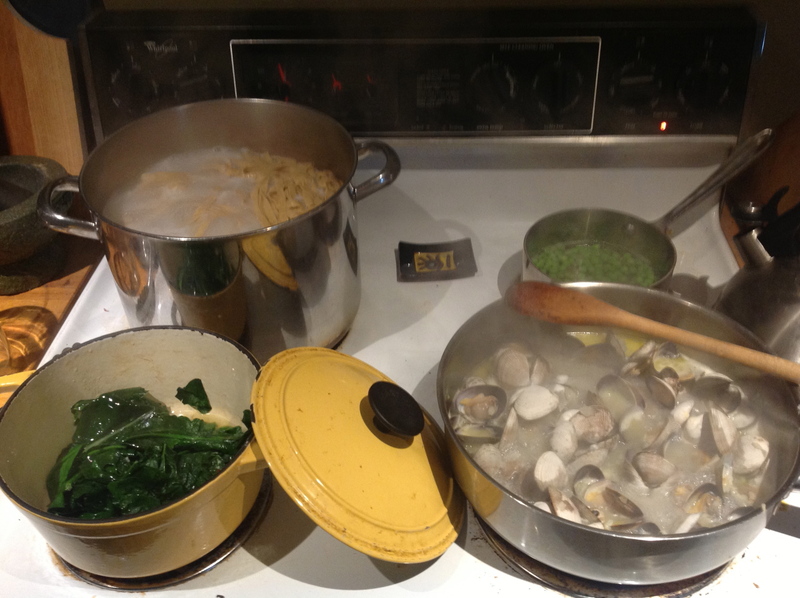 Wasting no time, I loaded the mill, knowing we’d be trying Einka pasta with our clams. I’ve not used a lot of gluten-free flours, but the einka does remind me in texture of oat flour, even the way almond flour looks and feels. 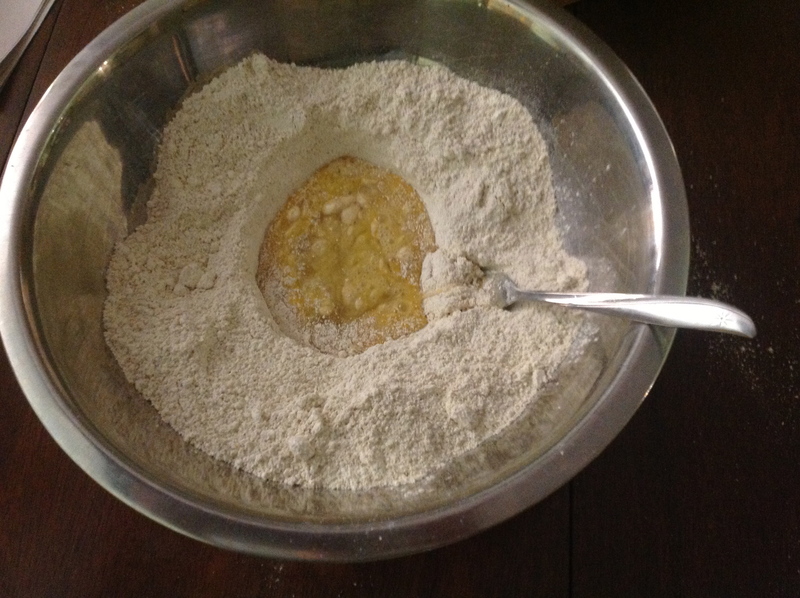 I found 1 recipe for einkorn flour pasta and it was essentially identical to how I always make pasta so I did 3 heavy cups of flour and 3 eggs. 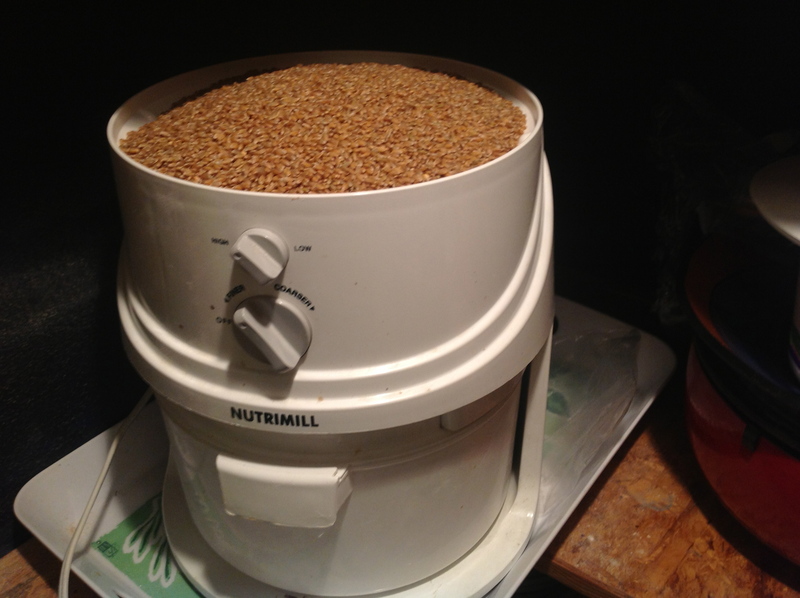 The flour is very loose when processed in the Nutrimill, the air has not been compressed out of it via packaging/storage. The dough came together nicely, and I left it to rest for 30 minutes. 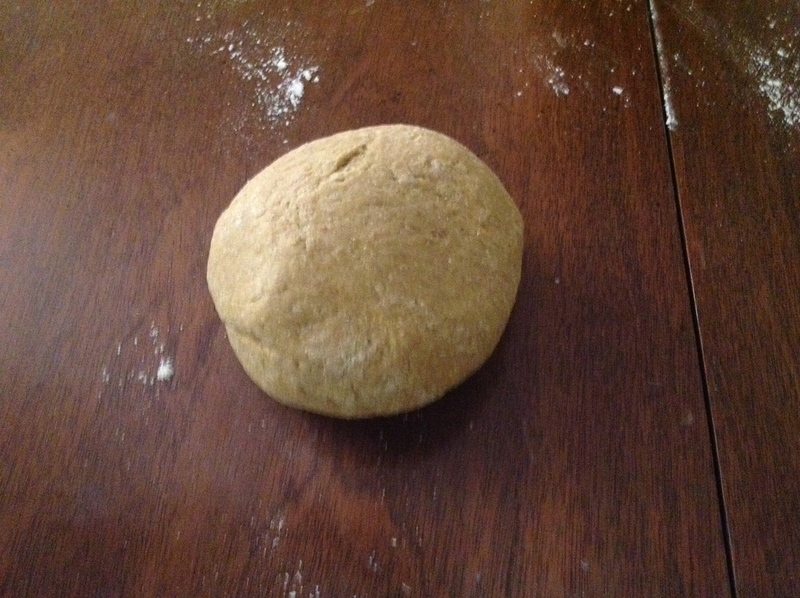 I use a pasta machine for rolling but I do knead the dough before it rests, per Marcella Hazen’s insistence. I got the moisture level just right, with little sticking and no crumbling. While the rolled dough waited for cutting, I got the water boiling, and proceeded with the other items on dinner’s menu: clams, kale, green peas for Junior, green salad, and baked-this-morning sourdough bread. 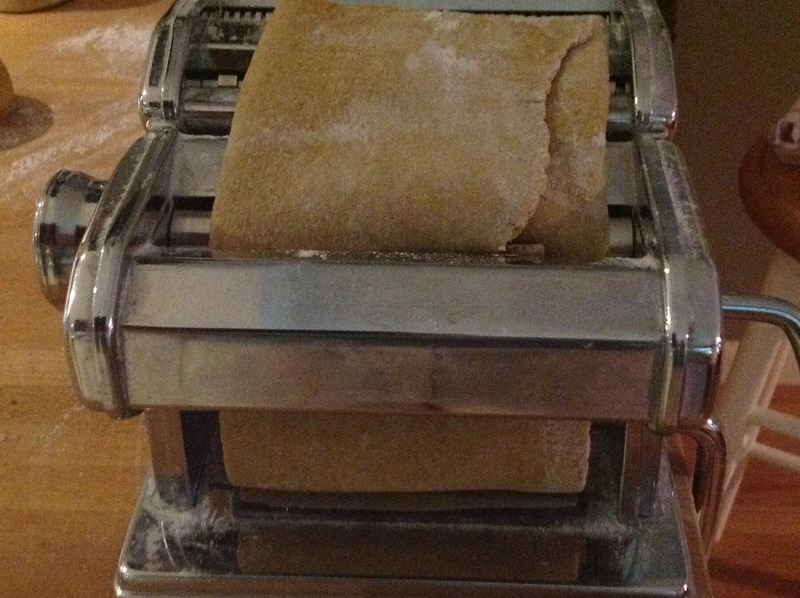 When the dough is perfect, I love using the cutting attachment on the pasta machine. The pasta turned out great. The texture and bite of the noodle seemed like the other whole wheat version I make. For a low-gluten grain, the final product was not slimy, and it held together in the sauce. 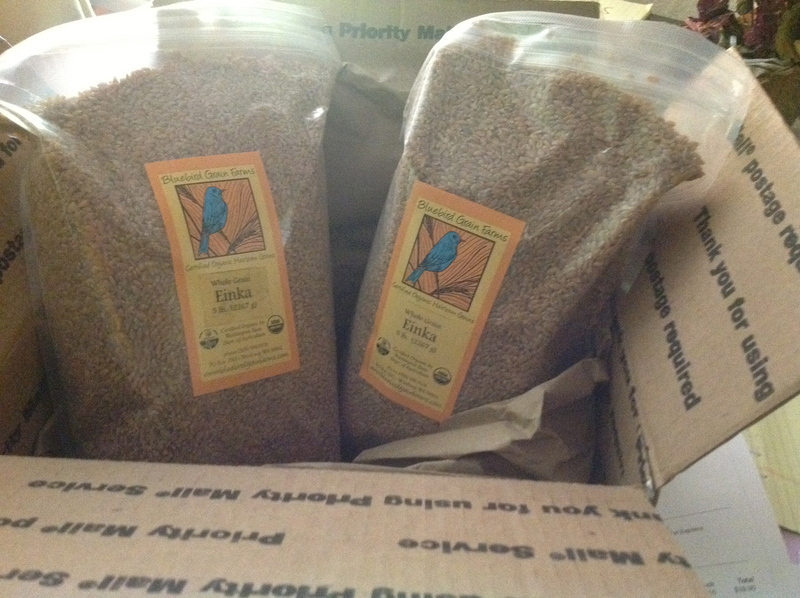 I look forward to more recipes with my new stash of Bluebird Farm Grains Einka.